We are very excited to introduce the revolutionary Red Paddle Co Compact SUP, a brand new model for 2019. Every now and then there is a big leap forward in inflatable SUP technology, and this is one of those leaps. A brand new construction that's being introduced by Red Paddle Co allows this 9'6 x 32" inflatable paddleboard to pack down to half the size as a conventional inflatable SUP. If you're looking for the ultimate SUP for travel, this is it. SUP Inflatables is very excited to announce that we will be at Southampton Boat Show 2018! This year will be bigger and better than ever; not only will we be representing Red Paddle Co for the 5th Year running at the Southampton BoatShow but we are also very proud and excited to announce we will be representing Anomy, Gladiator, Starboard, Fanatic, O’Neill, Naish and The F-Cup. If you have molded plastic fins on your inflatable paddleboard, there may be a time that you need to straighten them, for example after storing your board for a long while. This handy video by Red Paddle Co shows ow you can easily straighten out your fins. At SUP Inflatables, we are lucky enough to be based a stones throw from Poole Harbour, which must be one of the best places to paddleboard in the UK. The famous Sandbanks peninsula has the safe and shallow waters of the harbour on one side and the open sea on the other. Wonderful islands are ready to be explored and the Wareham river that flows into the harbour is a great SUP spot. The Ultimate Summer & Winter SUP Wear Wishlist! SUP is the ultimate chill out sport! It's all about hanging down at the beach or on a lake with your mates or family and having a great time, lots of laughs and making memories. The team at SUP inflatables do like to look good whilst we are on our boards! Paddling in your favourite bikini and board shorts is great, but in the UK let's face it, it's not often warm enough for this! Plus there's some great looking SUP wear out there. So here it is - Some of our favourite SUP clothes, all together, in the SUP Inflatables Summer & Winter SUP Wear Wishlist. SUP Inflatables bring Gladiator SUP to the UK! At SUP Inflatables we get lots of emails from brands and companies in China wanting to sell us their Inflatable SUPs. It would have been very easy for us to jump on the bandwagon and imported a cheap SUP under our name or a made up one that sounds cool, but that was a BIG no no, mainly due to our reputation, our parent company has been in watersports since the early 1980’s and SUP Inflatables is now in its 8 year. Win a Carbon SUP Paddle! 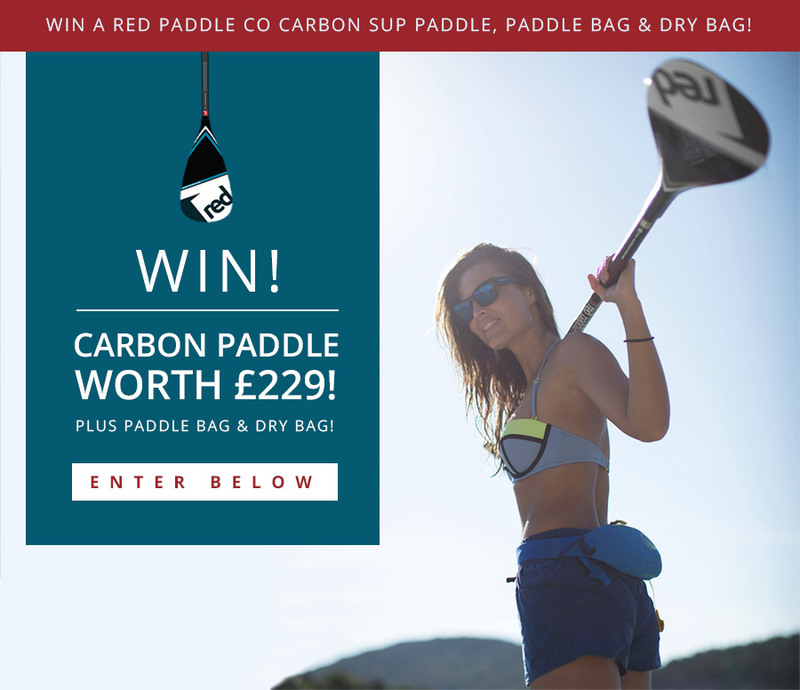 To celebrate the launch of the new Red Paddle Co range we're giving away a Red Carbon SUP Paddle worth £229, plus a paddle bag and dry bag! To enter simply enter your email address below and click the link in the email we send you. to confirm. This will also sign you up to our SUP Inflatables mailing list, but of course you can unsubscribe easily any time if you wish. The winner will be drawn at random after 1st November and notified by email. Good luck! On Saturday 10th and Sunday 11th June the Naish N1SCO European Championships are coming to Swanage, Dorset. The weekend is set to be great fun, with loads going on for competitors and spectators alike. As the event is just around the corner from SUP Inflatables HQ, we're getting involved by offering 10% Off Naish N1SCO SUPs, valid only until Monday 11th June. This is a great opportunity to save £105.90 off this fantastic inflatable SUP, which is the perfect shape for touring and or course paddling in the Naish race series. Read on for more info on the event and the Naish N1SCO SUP, or click here to buy your board!